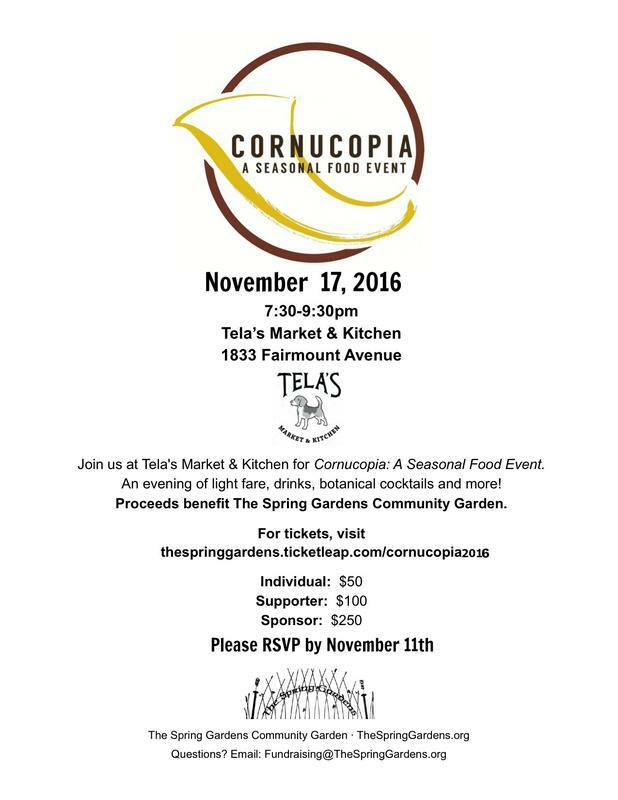 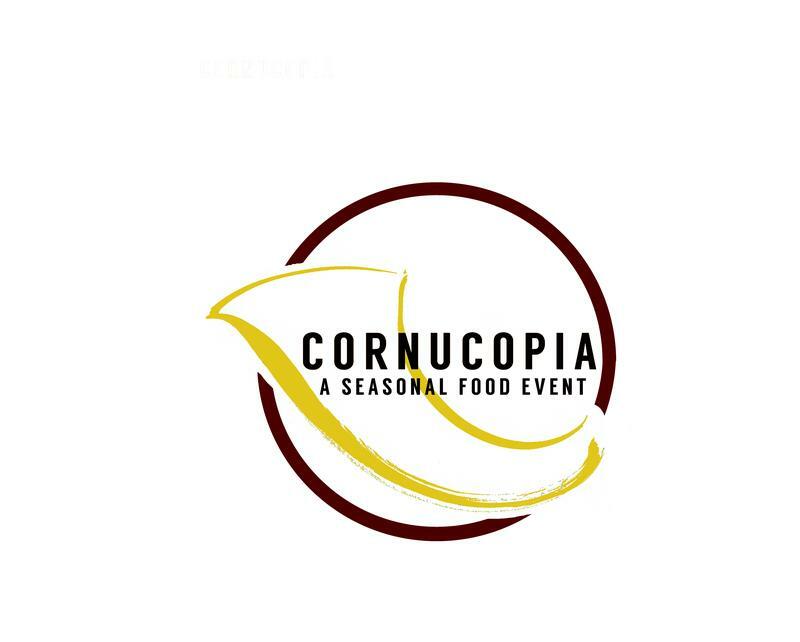 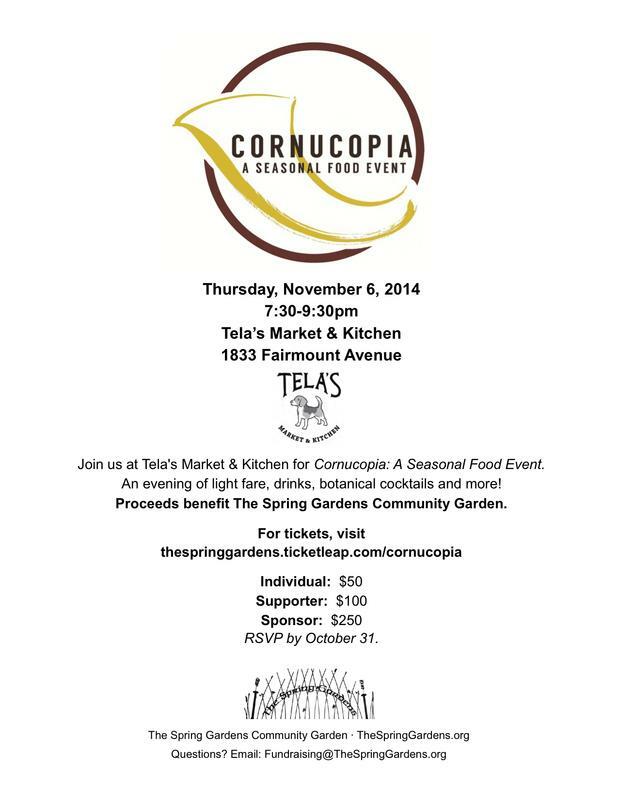 Join us at Tela's Market for Cornucopia: A Seasonal Food Event benefiting the Spring Gardens Community Gardens. 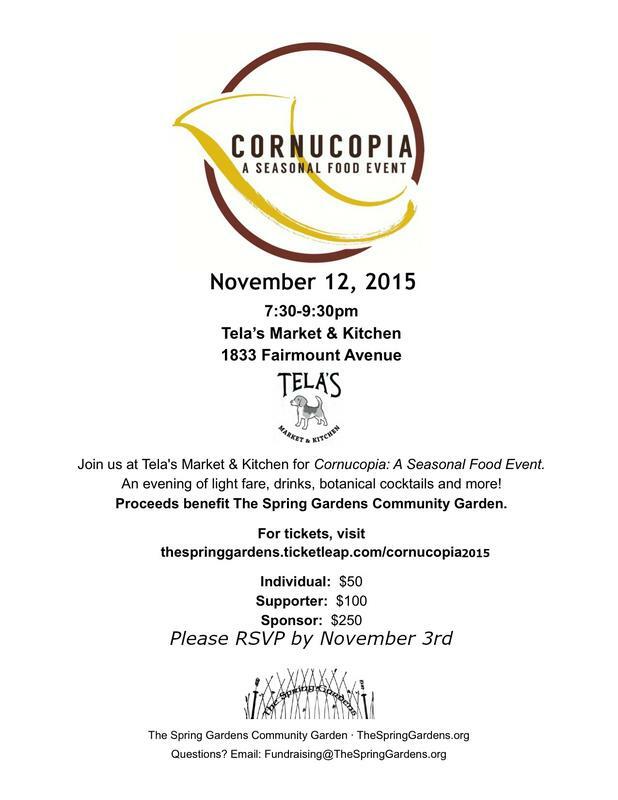 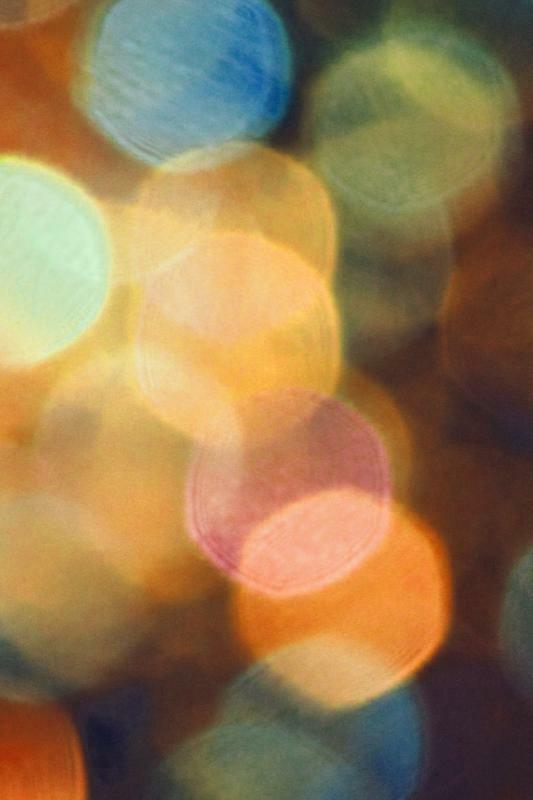 The evening will include food, drinks and more! 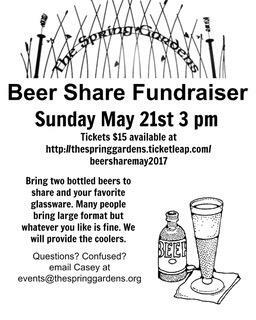 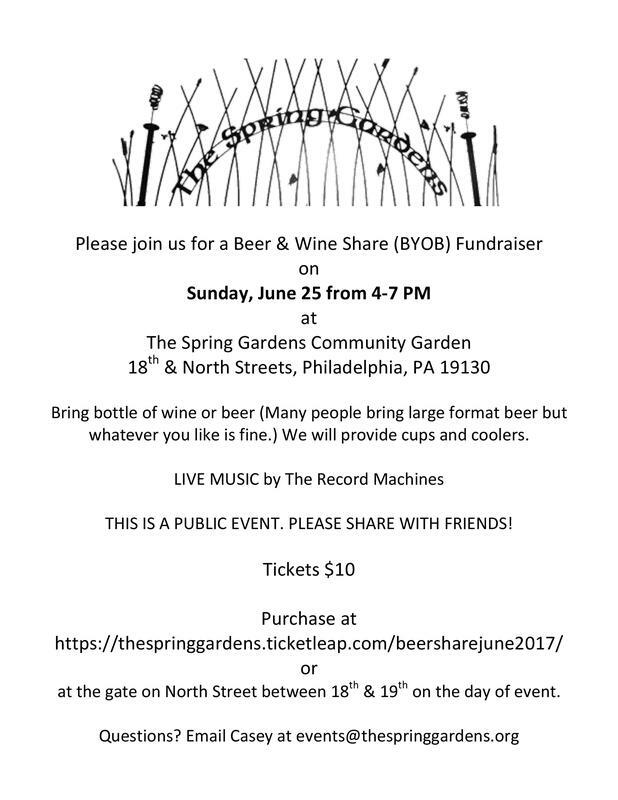 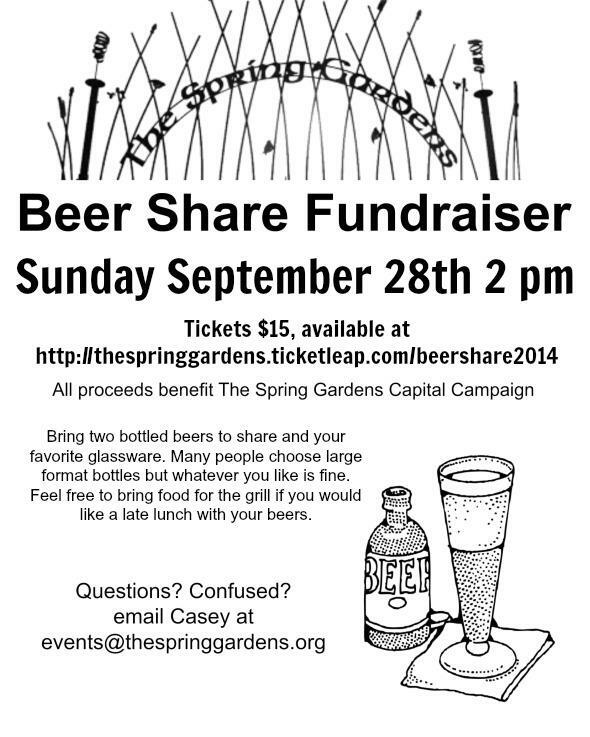 This event is open to members of the garden as well as the general public.